We won our case and freed up tons of records. (So did the Electronic Privacy Information Center.) The government, on the other hand, only succeeded in dragging out the fake secrecy. 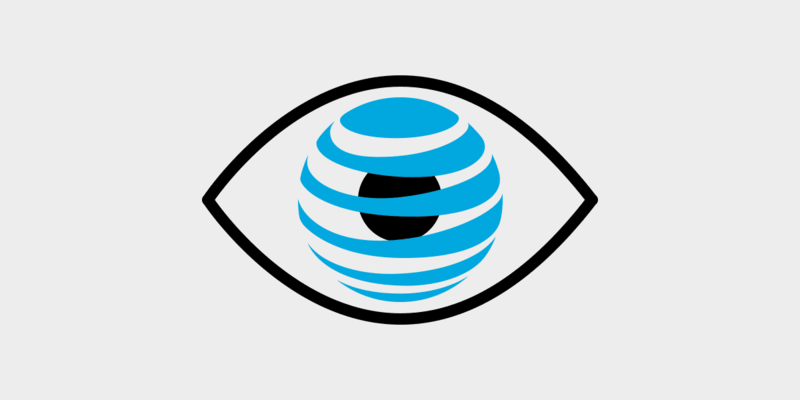 In late 2013, right as the world was already reeling from the Snowden revelations, the New York Times revealed that the AT&T gives federal and local drug enforcement investigators access to a phone records surveillance system that dwarfs the NSA’s. Through this program, code-named Hemisphere, police tap into trillions of of phone records going back decades. It’s been five long years of privacy scandals, and Hemisphere has faded somewhat from the headlines since it was first revealed. That was long enough for officials to rebrand the program “Data Analytical Services,” making it even less likely to draw scrutiny or stick in the memory. Nevertheless Hemisphere remains a prime example of how private corporations and the government team up to help themselves to our digital lives, and the lengths they will go to to cover their tracks. Through the Hemisphere program, AT&T assists federal and local law enforcement in accessing and analyzing its massive database of call detail records (CDRs)—information on phone numbers dialed and received, as well as the time, date, and length of call and in some instances location information. More specifically, Hemisphere has access to telecommunication “switches” operated by AT&T that guide telephone calls. Because other providers use AT&T “switches” for their calls, the database contains call detail records regardless of carrier. The database has records concerning local, long distance, cellular, and international calls. AT&T embeds employees with police agencies in at least three hubs: Los Angeles, Houston, and Atlanta. These employees run the software that searches and analyzes AT&T massive phone database. Cops (usually working drug cases) from around the country contact their regional hub to get the records, and federal officials can query Hemisphere without first getting permission from a judge. The system was reportedly especially useful for tracking people when they switched phones. As shocking as this program was when it was first revealed, the secrecy surrounding it was just as outrageous. The media reported that law enforcement agencies are instructed to bend over backwards to keep Hemisphere from the light of day. That includes leaving the detail of its use out of arrest reports and court proceedings. Through a technique known as “parallel construction,” after using Hemisphere, cops devise a second, more conventional way to obtain the information, and put that reverse-engineered method down on paper. The result is that law enforcement lies about the origins of its investigative methods, which also prevents individuals they target from knowing about, much less challenging, the surveillance. With our lawsuit, EFF set out to shine light on this program, to free up documents, and to pry off redactions. Now we are releasing the final batch of more than 300 pages of records we freed up through our FOIA work. We have settled the case, with DEA reimbursing EFF $160,000 in legal fees. A judge has now dismissed the case, pursuant to the terms of a settlement. This was a hard-won victory by our legal team, Aaron Mackey, Adam Schwartz, and Jennifer Lynch, Senior Legal Secretary Madeleine Mulkern, and former EFF Staff Attorney Hanni Fakhoury. To celebrate the dismissal, here are some of the highlights from the shadowy documents were able to bring into the light. The giant white box above is the completely redacted second page of an email to Hemisphere supervisors responding to all the negative press following the New York Times’ bombshell. The DEA claimed that the email was exempt from disclosure because it would reveal investigative techniques. Such descriptions confirm EFF’s worst fears that Hemisphere is a mass surveillance program that threatens core civil liberties. The program poses severe Fourth Amendment concerns because police are obtaining detailed private information from the call records and learning even more about people’s social connections and physical movements based on pattern analysis. Federal officials do all of this without a warrant or any judicial oversight. But beyond the Fourth Amendment problems, Hemisphere also poses acute risks to the First Amendment rights of callers caught in the program’s dragnet. Specifically, Hemisphere allows police to see a person’s associations, shedding light on their personal connections and political and social networks. It’s not hard to see such a tool being trained on activists and others critical of law enforcement, or being used by the government to identify entire organizations. In response to our initial FOIA request, government provided us with several of the presentations used to train investigators—with a hitch. In most cases they would only give us the title of the slide, redacting most of the body. Check out the “Before and After” images below to see the difference that a lawsuit makes. This slideshow gave us a glimpse into scale of the Hemisphere requests running through each of the three regional hubs. …became a map showing which Hemisphere hubs were assigned to which states. And a slide show where we were only able to see the titles …. ….was not only almost completely unredacted after the lawsuit, but we even forced the DEA to produce it in color. One of the best ways to understand how a secret government program operates is to obtain the blank worksheets that law enforcement officers must fill out to get data. Sure enough, the request form we obtained through our lawsuit indicates that the Hemisphere program anticipated that investigators might want information on a large number of phone numbers, but didn’t expect them to provide information about any legal process taken in advance of the request. The records we obtained revealed even more about the lengths law enforcement and AT&T underwent to keep the program secret. For example, here’s an attorney from AT&T expressing the company’s desire as far back as 2007 to keep the use of Hemisphere—or even the information gathered through Hemisphere—out of court filings. Six years later, the DEA embraced the secrecy, going so far to keep it out of the DEA’s equivalent of its internal police reports, DEA Form 6, referred to as “6s” in the email below. While these tactics were not enough to keep the existence of the program secret, all information indicates that law enforcement continues to hide its use in criminal cases. If you believe that Hemisphere may have been used in your case, please reach out to info@eff.org. For the complete library of records on this program, check out EFF’s Hemisphere case page.